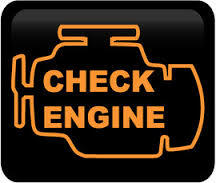 Check engine light indicates anything from a failed sensor to serious engine malfunction! Function: Monitors the mass of air entering engine to balance the amount of fuel needed for engine demand. Function: Provides the electrical current for the plug to spark, which ignites fuel. Call today to schedule an appointment for a DIAGNOSTIC! Follow us on Instagram @salidaautorepair and Twitter @salidaauto ! And add us on Facebook Salida Auto Repair !